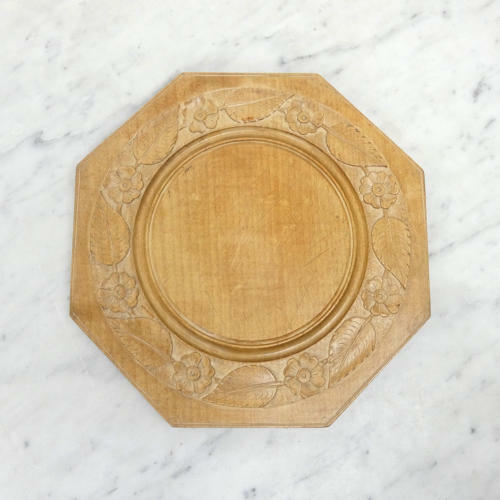 A very attractive, octagonal breadboard with a deeply carved design. This board is very well carved in beechwood, with a border of flowers and leaves, and it dates from c.1890. It is in exceptional condition and has seen very little use. It has obviously been treasured by its previous owners as the reverse of the board has been used for cutting on much more that the face. This has preserved the carving in remarkable condition. The wood has quite a pale patina.